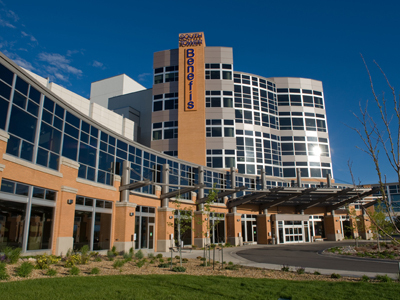 Benefis Hospitals is the largest hospital in the state and the largest non-governmental employer in the Great Falls area. We provide exceptional health care to approximately 225,000 people in service area covering 44,814 square miles -- 15 counties in Northcentral Montana. Our service area is bigger than Connecticut, Massachusetts, New Hampshire and Vermont combined! No wonder Benefis needs to operate both helicopter and fixed-wing aircraft.